Ramoji Film city in Hyderabad, is the worlds largest integrated film studio complex at over 9,000 acres (36 km) of land in the world as certified by Guinness World Records, provides comprehensive and advanced film production facilities with dedicated professionalism. A filmmaker can walk in with a script and walk out with a canned film.It is also a popular tourism and recreation centre, containing both natural and artificial attractions including an amusement park. 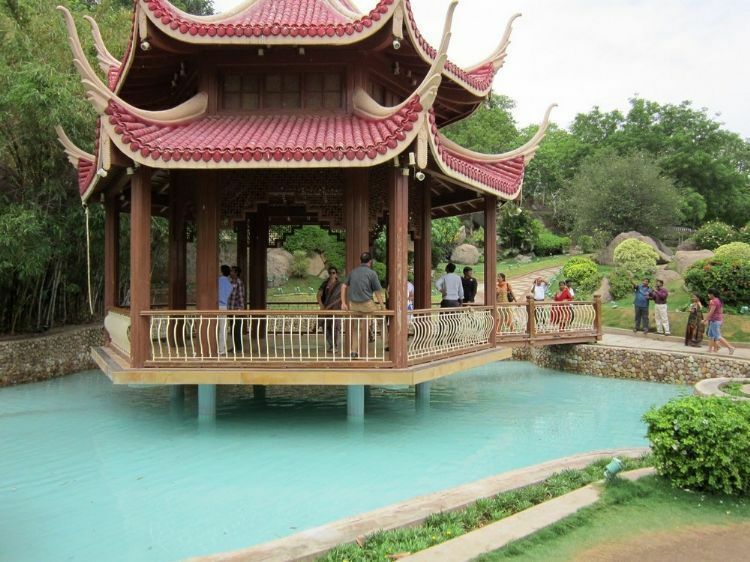 It is situated near Hayathnagar and Peddamberpet on Hyderabad - Vijayawada, NH9 highway, about 25 km from Hyderabad. The Outer Ring Road Phase 2 has acquired lands at the entrance and is set to intersect the city.